The Commission is a grant-making agency that supports research, education, public affairs and exchange with Japan. For more information on JUSFC please go to our website here. 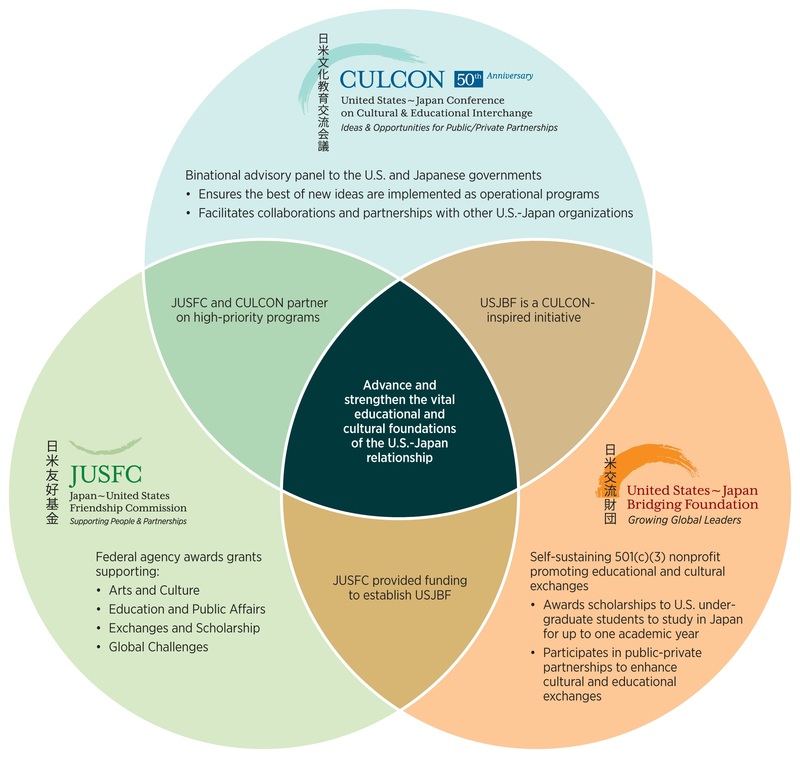 The US-Japan Bridging Foundation awards scholarships to U.S. undergraduate students to study for one semester or academic year in Japan. For more information on USJBF please go to our website here. For a PDF of the the mission statements, membership, contact information, etc., please click here.